The development of Blockchain technology in the world is increasingly visible with many emerging startup companies that move by utilizing these technologies. We have seen many companies open businesses in this field, and not infrequently also local people who pioneer businesses by utilizing Blockchain technology. Some of them provide crypto asset buying and selling services commonly called exchange, some also apply Blockchain technology to solve real problems, and some are engaged in mining (mining) crypto assets. 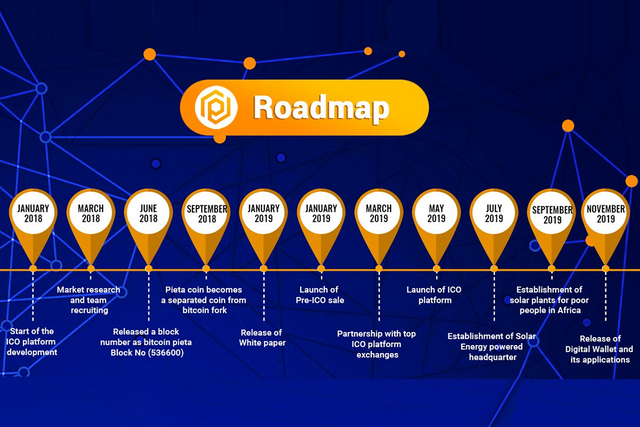 And the project I will discuss this time is PIETA – Ecosystem for Solar-Powered Crypto Mining. As attention and interest in cryptocurrency continues to grow, the opportunity to demystify and simplify the entry into the world of cryptocurrency has become clear. This opportunity is to develop new models that can make cryptocurrency mining affordable and widely accessible, in addition to encouraging adoption for everyday purchases which will further enable mainstream success. Pieta will provide a simplified experience for users as well as a simplified platform that allows all users – regardless of technical awareness – to fully participate in the cryptocurrency economy by obtaining pieta tokens or through mining. To encourage the adoption of renewable and efficient blockchain energy solutions for businesses of all scales and sizes. At the same time, Pieta imagined to make Mining a profitable and attractive affair for everyone regardless of individual technological and financial skills. Ensuring fast adoption of Green Energy Sources. Make Solar Energy the main energy source for efficient business operations. Encourage the Awareness Program to educate one and all about the current and future benefits of intelligent, sustainable and comprehensive energy systems. ● Has a high level of security and fast transactions. ● Block size: Max Size 2MB. ● Mining is easy by Algorism X20 and also a cryptocurrency wallet. ● Access to a point-of-sale business network that accepts Pieta coin transactions. ● Friendly use does not need technical knowledge to buy or mine. In fulfilling their vision and values, they are aware of responsibility for society and the natural environment. We orient ourselves to the principles of sustainable development. 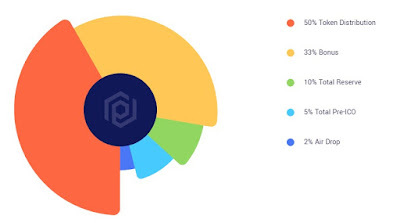 This is an integral part of our Pieta coin because they use the X20 algorithm which helps reduce electricity while getting the optimum security needed and this happens through reducing electricity by cutting 50% of the mining process and as a consequence of energy reduction, they solve security problems by balancing . They decided to invest and fully fund solar projects to make the planet environmentally friendly for future generations. Tokens are digital assets that are sold to the public during ICO campaigns, usually to other popular cryptocurrency, or sometimes directly to fiat currencies. Unlike cryptocurrency. Enjoy up to a 100% bonus for purchasing your Pieta tokens during the ICO, which means a 100% discount also for buying that use solar energy mining contracts. The Pieta coins will be listed in the top exchange platform where the coins can be exchanged for other coins such as Bitcoin and Dollars for profits up to 100%. Investors will get worldwide worldwide transactions. High Mining Profit with lower cost and time investment. The use of low energy and low energy X20 algorithms produces less energy consumption. Investors of Pieta Tokens will also share profits generated from our solar mining rigs. Buy a contract for a solar-powered mining platform for our solar-powered mining platform with a 20% discount. This will be launched after the ICO ends in November 2019.